Have you ever considered that your life partner might be living in another country? Thank you for joining our email list! I hope you get the most out of the video series possible. Remember to look for the email to confirm your subscription. 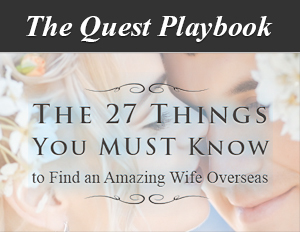 We are a group of married couples who are trying to help good men from Western countries connect with sincere women from abroad. But, to do this right, you have to meet in person. After all, you can’t download a wife. We’ve been doing this a while and have a really high success rate. Catch this two minute video to learn more about who we are and what we do that has resulted in so many international marriages.